The 1st two videos are from a live performance recently, the 3rd video is a promo clip sample for when promoting the venues I perform. Now a little bit of info below on myself. 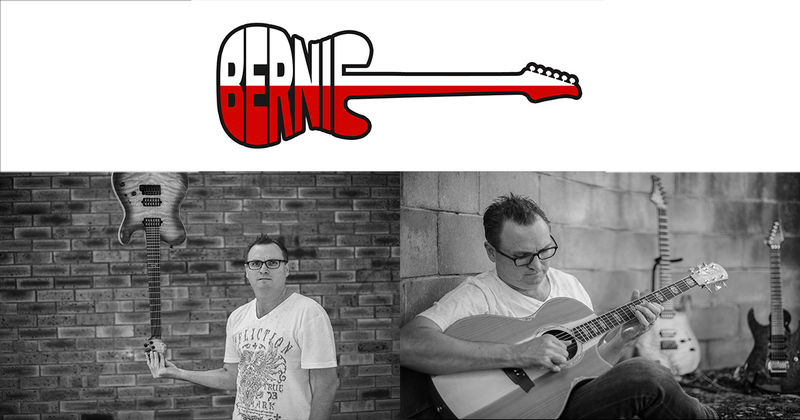 Bernie has been playing Guitar from the early age of 9 yrs old, started off with lessons in Sydney for a period of 6 years. Then moved to the Central West and had 7 years Guitar lessons with "Leo Dekroo". Leo and his brother Doug (known as The Dekroo Brothers) being famous for a hit single in the 1960s titled "And Her Name Is Scarlet". While having lessons with Leo, Bernie started playing with other Guitarists and playing in various Bands,Duos etc. In 1985 started up singing lessons for 4 years and studied grade 3 & 4 AMEB Certificate in vocal. Moved to Newcastle in 2002 and spent 6 months programming backing tracks in his home studio, and then ventured out into the Pubs and Clubs performing. Professionalism is a key ingredient to Bernies solo shows covering many facets such as; * Starting on time * Engaging the crowd * Providing an exceptional sound * Ensure the appropriate volume for the venue * Minimal breaks. Bernie also performs in "Rock Factor" with his long time friend Robbo.